2. Use material: using NEOPRENE senior material, draping, sweating especially good, wearing comfortable! 3. Features: the use of special material, tightening use place, have warm and SAUNA function, promote sweat, help redundant and adipose decompose, reach the effect reducing weight. Permeability is good, can decorate a charming symmetry curve. Another increase far infrared ray layer. 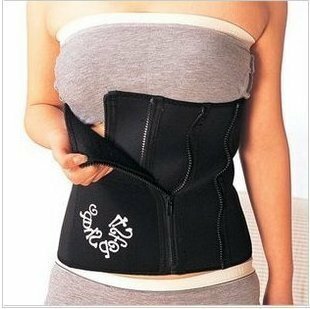 Fabric four layer structure: nylon/sponge layer/far infrared/nylon, suitable for waist circumference 56-98 cm. Far infrared ray into the waist, strengthen sweating effect, inner close sponge layer, prevent temperature flight short time sweating and burning redundant ?